The Paulownia is hardly demanding at all on the soil and can be grown on a marginally fertile land. However, it requires a nutrient rich, semi heavy, deep soil for the full realization of its growth potential. The location factors and climatic conditions are rarely ideal, but can often be adapted by appropriate measures. 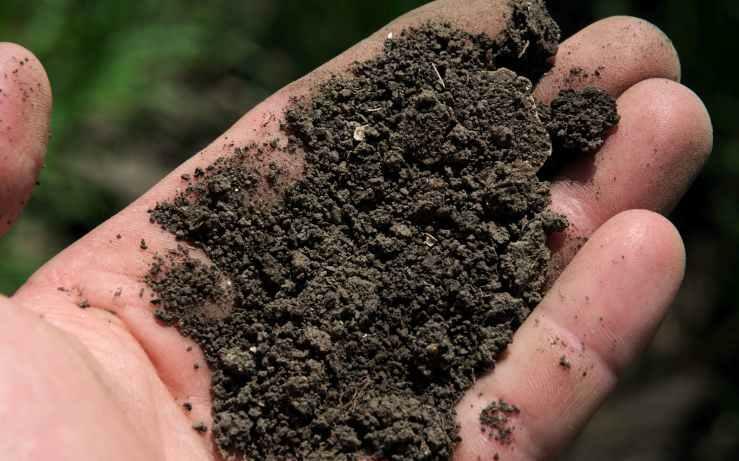 The type of soil is defined by the composition of sand, silt and clay. Depending on their historical origin the soils possess levels on very unique proportions between these three factions, which influence their properties significantly. Sandy soils warm up quickly and have high air permeability, but also limited storage capacity for water and nutrients. Clayey soils, however, are scarcely permeable to air and water. The water stored in them cannot be easily absorbed by plants, but they are rich in nutrients. Waterlogging often occurs on these soils, which is disadvantageous for the cultivation of Paulownia. Silt free clay soils are suitable for the growth of most plants and therefore also for Paulownia. Less optimal soils can be customized using various culture techniques for a successful Paulownia planting. Careful scoring of the site before installation of a plantation creates clarity. Paulownia forms a deep-reaching tap root, which requires a sufficiently deep soil to develop properly. If it is less than 1.5 meters deep and reaches solid bedrock already on which plants are inhibited in growth due to limited root space. The danger of uprooting during a storm and heavy rainfall rises sharply. The cultivation of Paulownia on shallow soils is not excluded. The Paulownia Catalpifolia is often found in mountainous areas of China. Within the limited growth potential of these locations, it creates a benefit, because it builds closely lying growth annual rings which are treasured for veneers in furniture making. The height of the water level has a decisive influence on the growth of Paulownia stock. As already mentioned above, Paulownias are sensitive to waterlogging. The same applies to high levels of ground water. If the level of groundwater in less than 1.5 m, the site is usually considered to be unsuitable for the cultivation of Paulownia. On the other hand and in particular on very sandy soils, the groundwater level should not be too deep. With their profound taproot the Paulownia is supplied sufficiently from more than 5m depth with water. If the water level is so that it can no longer be reached from the root, the plant has to rely solely on the water retention capacity of the soil. On loamy locations this water is stored in the soil and may be sufficient even for longer periods of drought reserve. If both the water level as well as the water retention capacity of the soil cannot be optimized, it must be watered externally where it is appropriate. A drip irrigation system is recommended here. A crucial factor that affects the growth of plants is the pH value of the soil. This indicates the acidity or alkalinity. Indirectly, man can decide to the calcium content of the soil. Paulownia is one of a genus of lime-loving plants, their growth optimum lies in the neutral range of pH 6 – 7. However, this optimum value for Paulownia is only theoretical. What is decisive is that the optimum for the respective soil value is properly adjusted. Depending on the initial substrate in this case, different values ​​can be desirable. The good adaptability of Paulownias allows a rapid and productive growth in a wide range of pH, range from below pH 4.5 until about 7.5. Decisive for this is that the ground optimum pH is determined by soil analysis and, if appropriate, adjusted by appropriate measures. Non optimal values ​​can disrupt the soil chemistry, so that the plant is inhibited in the acquisition of nutrients, the formation of roots and the development of important soil organisms. The disruption of as few as one of these factors can lead to serious losses in terms of growth. Paulownia is a genus of trees that are similar to other precious hardwoods by having a high nutrient demand in order to be able to grow optimally. The large leaves of Paulownia bind high amounts of nitrogen and potassium. In youth development, many sites cannot provide sufficient nutrients to subsequently supply the rapidly expanding crown. Targeted additions of missing nutrients support the starting development and lay the foundation for a healthy and powerful stock over the entire life cycle. The decisive factor in this case is the composition, the right dosing and the right time of the implementation. High nitrogen applications at the end of the growing season can adversely affect the lignification and thus the winter hardiness of Paulownia. Potassium improves the hardiness of the tree. Throughout the summertime increased potassium level also add to efficiency of the plant and can thus even secure growth during dry periods secure. Due to their extremely large leaves Paulownia possesses an optimal use of approaching sunlight. Because of its origin, it is also a strongly heat-loving plant. Therefore, both aspects point for a south-facing slope as an optimal location. With its tilt towards the sun and overwhelming solar radiation will get concentrated to the surface of the leafs. This causes a more rapid warming in the spring, so that the growing season will get extended on the starting period. During the year the growth of the crop will get increased by the optimized sunlight exposure. Through their deep root system Paulownia is able to collect their water requirements very well from the underground storages in the area. Up to a depth of about five meters it can reach the groundwater and supply itself. With more than 800 liters of annual rainfall per square meter, Paulownia is supplied with sufficient water amount to provide a high growth. Below this value it may be recommendable to use an additional irrigation. Drip irrigation systems are economical according to water usage and have an excellent profitability due to the high growth gains of the wood. There are different Paulownia species with different cold resistances, an overview can be found in the Plant department on this site. Paulownia is distinguished by its excellent drought resistance, it can survive temperatures of 45 ° C over longer periods of drought without any noticeable problems. Paulownia does not fall into a drought stress. In her young years, Paulownia forms extremely large leaves, which make it susceptible to wind. Strong winds can cause damage to the leaves, up to a severe defoliation. Because of their good ability to regenerate, the plants can compensate for this damage quickly. Nevertheless, their growth potential would be hereby temporarily diminished. With increasing age of the plants they will reduce the size of their leaves and thus their susceptibility to wind. If strong winds are expected regularly, at least the young plants are supposed to be protected in the first three years.